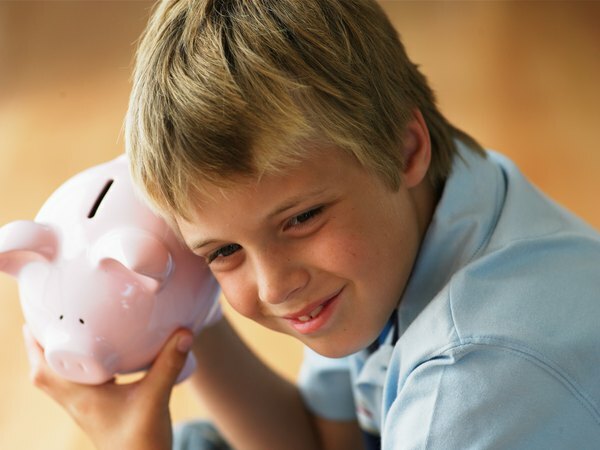 Some savings bonds can be transferred to children. U.S. Savings Bonds are popular gifts for children, as they can be used to help finance college and other long-term goals. If you currently have savings bonds in your name, you may be able to transfer ownership to your godchild. Depending on your financial situation, this may be a more sensible way of giving your godchild a sizable gift than other ways that might tax your resources. Whether you can transfer ownership of your savings bond to your godchild will depend primarily on the type of bond you have. Series EE savings bonds can be transferred easily to a new owner, while Series I savings bonds cannot. If you have an I bond that you want to transfer, you can either add your godchild as a co-owner of the bond or cash the I bond and use it to purchase a new bond in the child's name. To transfer ownership of a Series EE bond to your godchild, you'll need to fill out and submit Treasury form PD F 4000. The form is available for download online, or you can request to have a copy mailed to you. After you've filled out the form completely, you'll need to visit your financial institution to sign the form in front of a certifying officer. The officer will then place an official stamp or seal on the form for verification. If the U.S. Treasury bond you want to transfer to your godchild is an electronic bond in a TreasuryDirect account, you can request to have the bond -- or multiple bonds -- transferred from your online account to the child's account. Once you've logged in to your TreasuryDirect account, click on the "ManageDirect" tab, and select "Transfer Securities" under the "Manage by Securities" heading. You'll then be prompted to select the bonds you want to transfer and then to enter the taxpayer identification number and TreasuryDirect account number of your godchild. If your godchild doesn't yet have a TreasuryDirect account, her parents will need to open one for her first. Be aware that in some instances you may be required to fill out and return form PD F 5511 E before the transfer can be completed. If the form is required, you will be notified during the transfer process. As the former owner of the U.S savings bonds, you will be required to report the interest as income on your federal tax return. Depending on the size of the bonds you are transferring, you may want to consider adding your godchild as a co-owner of the bonds instead. This will give him full ownership of the bonds without you facing the tax liability. TreasuryDirect: How Do I Transfer Savings Bonds From My TreasuryDirect Account to Another TreasuryDirect Account?